If you follow my weekly meal plan posts, it's no secret that I'm a fan of using the grill whenever possible. 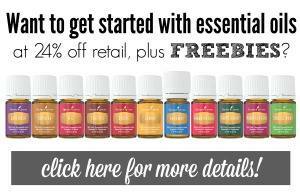 In the summer, it keeps the heat out of the house, and creates a lot less mess to clean up. We use our grill three out of four seasons around here and there is plenty of great grilling weather yet to come this year. 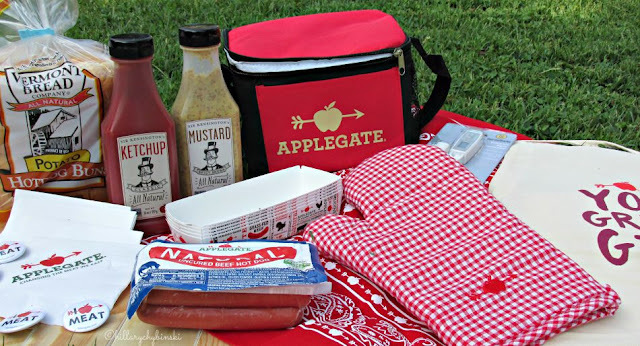 Applegate recently sent me a party pack, featuring their 100% all-beef hot dogs. Generally, I am not a fan of hot dogs, but nothing says summer like a great all-beef hot dog grilled to perfection and served on a soft yummy roll. Add some ketchup, diced onions and a little relish, and it's the perfect summer dish. But getting that hot dog grilled to perfection isn't easy. You can over-cook them, or even worse, not cook them enough so you miss out on the yummy grilled flavor. 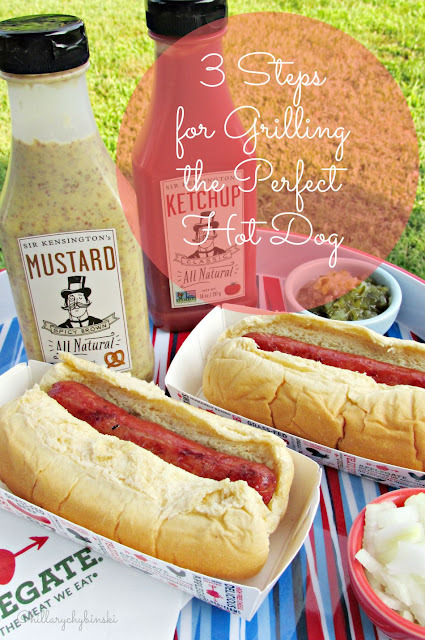 After years of practice, I've narrowed it down to three simple steps to get the perfect grilled hot dog, time and time again. Start with the best dogs. Not all hot dogs are created equal, and many can be filled with less than desirable ingredients. 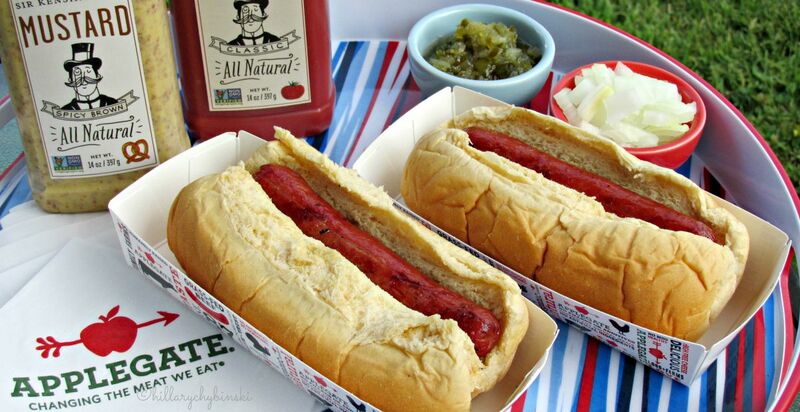 We enjoyed these natural, 100% all-beef hot dogs from Applegate. They are made with no nitrates or chemical preservatives. Keep Watch. 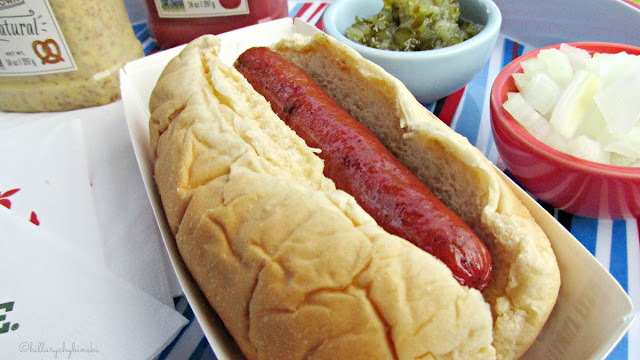 Hot Dogs aren't something you can leave on the grill and walk away. They turn out best when you watch over them and rotate them often. Toast the buns. Trust me on this. After your hot dogs have nice grill marks all around them and they are just starting to expand, take them off the heat and place your buns on - just for a couple minutes! Just pop your hot dog into your toasted bun, and add all your favorite toppings. Have a crowd to feed? Set up a toppings bar with chili, cheese, baked beans, onions, bacon, ketchup, mustard and different relishes. What are you cooking on your grill this summer? 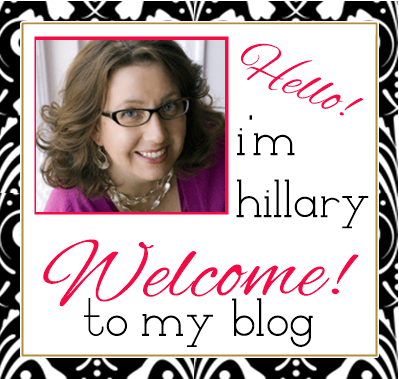 Thank you so much Hillary! These tips are helpful for me!